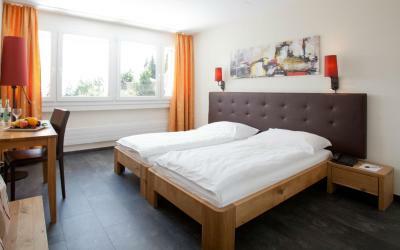 Lock in a great price for Rigi Kaltbad Swiss Quality Hotel – rated 8.5 by recent guests! 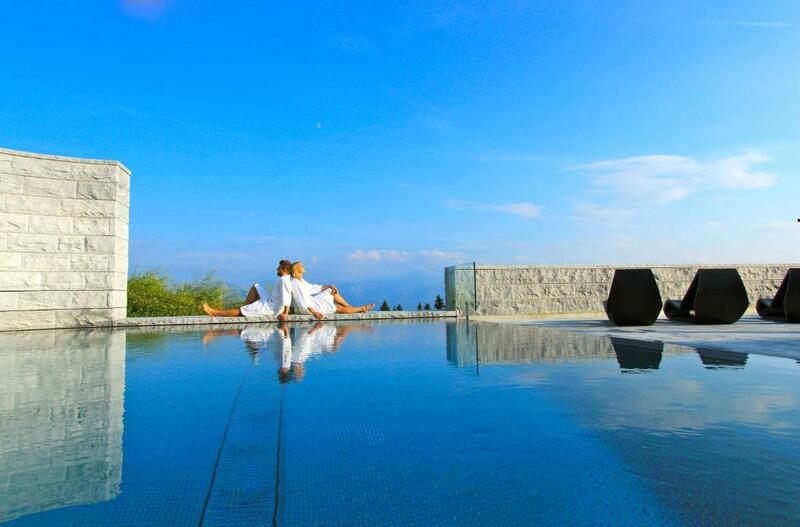 We enjoyed the thermal bath with the magnificent view of the Swiss alps. The buffet breakfast was also very good. The hotel is just a few steps away from the train stop. Very convenient location. 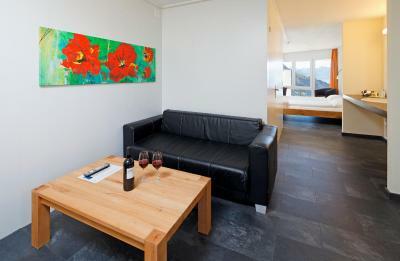 Fantastic location right near both cable car & cogwheel train & next door to Spa, with spectacular views. 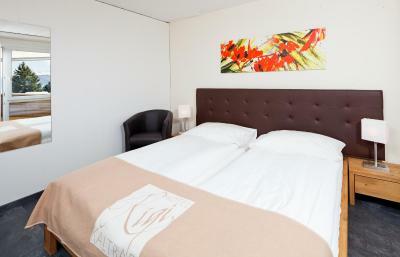 Superb breakfast, excellent helpful staff, beautiful room with huge windows that open. I love the location, view of the hotel and staffs’ kindness. 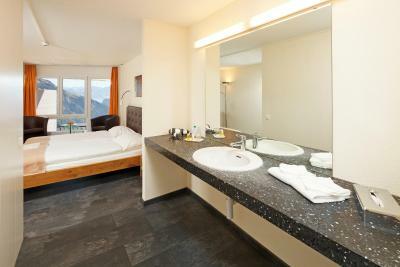 The Thermalbath is wonderful and the view from there is beautiful. 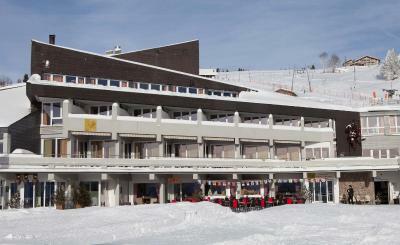 In the Morning before 10 it is open for hotelguests only. 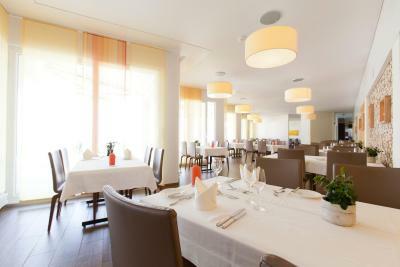 The 3 course menue at the Hotel Restaurant in the evening was very nice and our special requests were met without hesitation. I loved the breakfast and the spa. It felt like a nice resort. 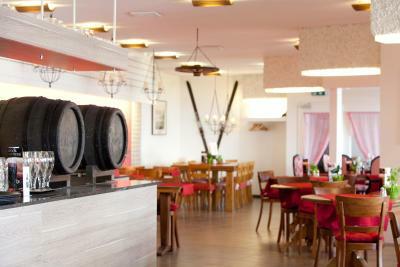 The hotel is situated right next to Rigi Kaltbad-First mountain train station and Rigi Kaltbad cable car station, which makes it easily accessible from Lucerne by boat via Vitznau and Weggis, or from Zurich by train via arth-Goldau. 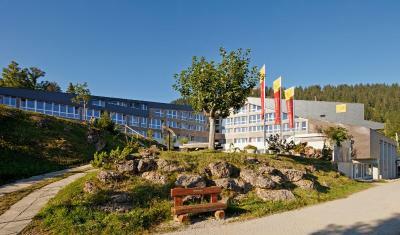 The hotel is close to the starting (or ending) point of several popular hiking trails such as the Rigi Classic Trail, the Rigi Panorama Trail and the Flower Trail. 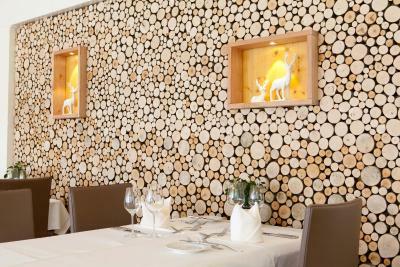 Food served by hotel restaurants at breakfast, lunch and dinner are delicious and cooked with passion. 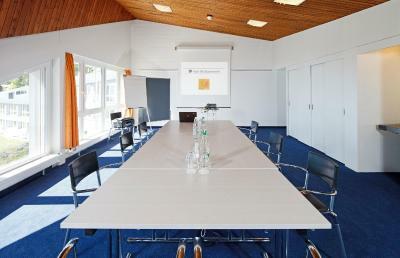 Hotel staff are very polite, willing to communicate with guests and very helpful. The spa facilities with heated pools, looking out to the unbelievable view of the mountains were one of the highlights of the rwo week trip to Europe. 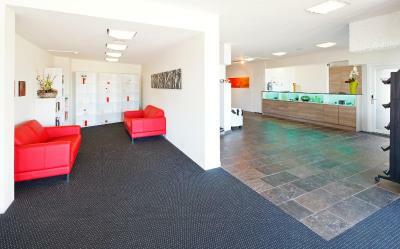 The staff were very helpful to assist you with any requested information. Amazing spa. Stunning view. The spa was so clean, so well designed, so well run, and so comfortable. The spa was new, clean, big, quiet, relaxing, well designed, and had a view that was out of this world! Good job to the management at the spa! I just couldn't get myself to get out of the water, soaking there all day long. 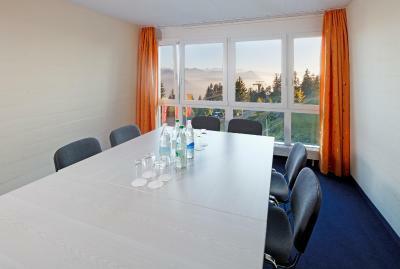 Rigi Kaltbad Swiss Quality Hotel This rating is a reflection of how the property compares to the industry standard when it comes to price, facilities and services available. It's based on a self-evaluation by the property. Use this rating to help choose your stay! 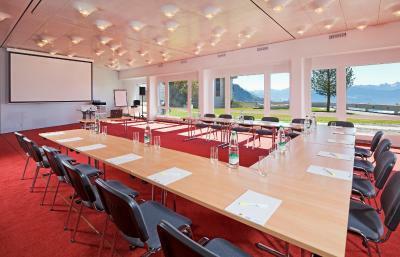 Rigi Kaltbad Swiss Quality Hotel offers modern rooms with views of the surrounding Alpine landscape and free entrance to the mineral bath and spa area on site. 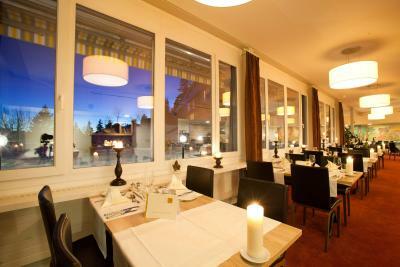 The property has 3 restaurants that serve regional and international cuisine. 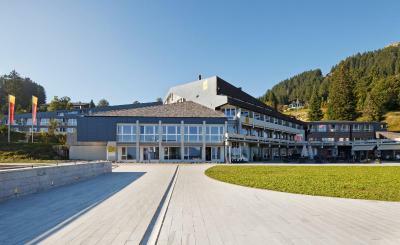 The Rigi Kaltbad Quality Hotel also features an indoor and outdoor pool, a fitness center, hot tub, sauna, sun bed and steam bath can all be used on site. 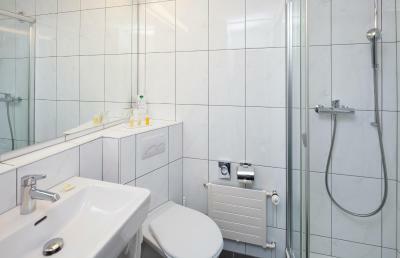 Rooms at the Swiss Quality Hotel have a bathroom, free WiFi and a flat-screen TV with cable channels. A breakfast buffet is served each morning. An unsupervised playroom for children is available. 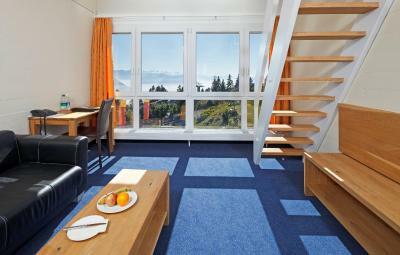 The local train and cable car station of the car-free village of Rigi Kaltbad are 250 feet away. Zurich Airport can be reached by car in just over 1 hour. 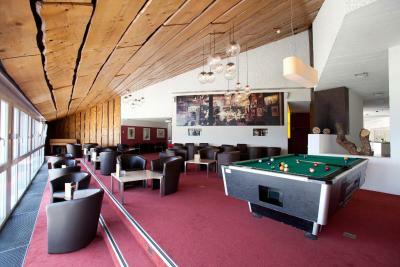 When would you like to stay at Rigi Kaltbad Swiss Quality Hotel? These spacious rooms have modern furnishings, a bathroom, box-spring mattress, Wi-Fi and a flat-screen TV with cable channels. 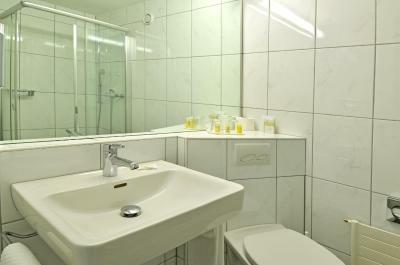 The entrance to the mineral bath and spa area is included in the room rate. These spacious rooms have modern furnishings, a box-spring bed, a bathroom, Wi-Fi and a flat-screen TV with cable channels. 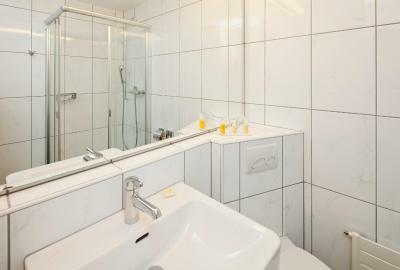 These rooms are very spacious and have modern furnishings, a Nespresso coffee machine, a bathroom, box-spring mattress, Wi-Fi and a flat-screen TV with cable channels. 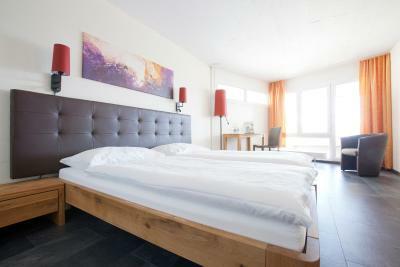 Some rooms are on 2 floors and have steep steps to the bedroom. These might not be suitable for guests with reduced mobility. 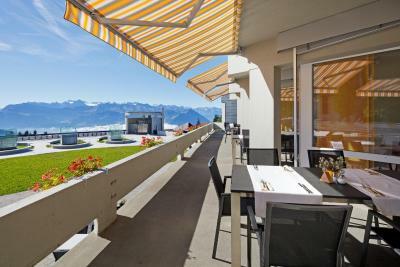 The hotel is situated on Mount Rigi with great view over the alps and lake of Lucerne. 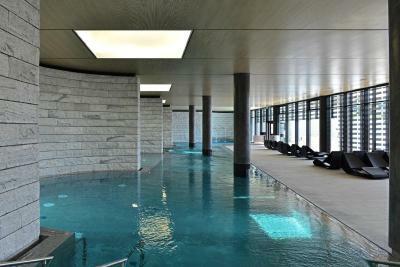 As a highlight you may enjoy free access to the Mineralbath & Spa which was built by the famous architect Mario Botta. 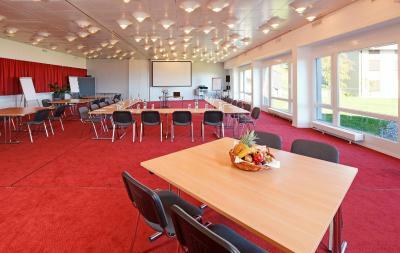 House Rules Rigi Kaltbad Swiss Quality Hotel takes special requests – add in the next step! 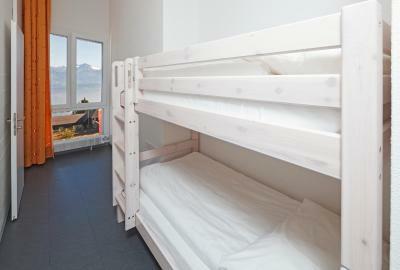 One child from 2 to 6 years is charged CHF 30 per person per night in an extra bed. 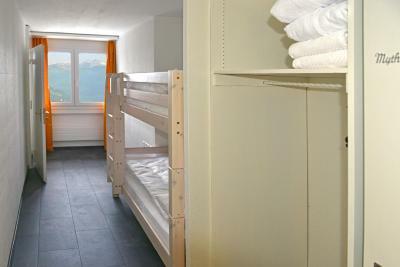 One child from 7 to 15 years is charged CHF 50 per person per night in an extra bed. 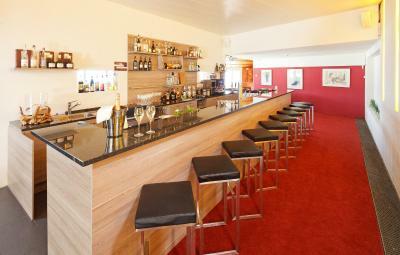 Rigi Kaltbad Swiss Quality Hotel accepts these cards and reserves the right to temporarily hold an amount prior to arrival. Please note that Rigi Kaltbad is a car-free village. You can reach Rigi Kaltbad by rack railway from Vitznau or Arth Goldau, or by cable car (only in good weather) from Weggis. 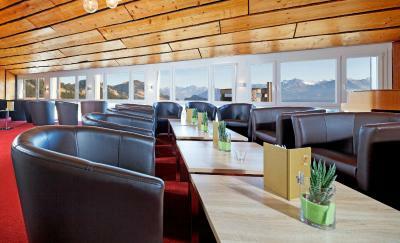 The latter is the easiest option as the cable car station is located right next to the hotel. Due to the cable car maintenance, it is not possible to travel by cable car from Weggis to Rigi Kaltbad in the period from 25 March 2019 until and including 26 April 2019 and from 04 November 2019 until and including 15 November 2019. During these periods, please use the rack railway to Rigi Kaltbad from Vitznau or Arth/Goldau. 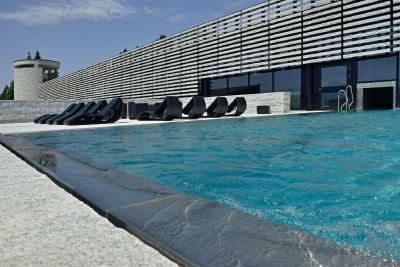 Guests can use the swimming pool facilities on the check-in and check-out day at no cost. Please note that guests benefit from a 50% discount for the rack railways in the region. 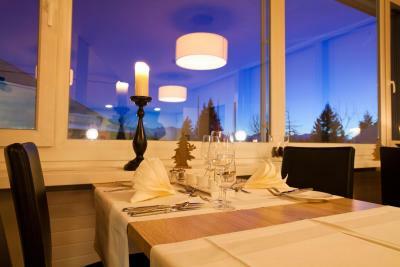 Dinner at the restaurant is pricy for the quality of food. Too bad there's not much choice other than that. Breakfast is good. You can use the SPA on check-in and check-out dates. Close to the slopes. Staff is nice. Just an amazing place in the world!! All was good, then only thing we didn't like is that SPA/pool were open only until 18:30. The working hours of the SPA should be extended at least till 20:00 (in some other hotels SPA works till 22:00). Breakfast and coffee were excellent! SPA and the view from the outdoor swimming pool were fantastic! Also we liked that it was possible to use the storage room for our luggage next day when we went for the full day sledging and hiking. Some new staff at the reception are a bit unfriendly at first, but they changed later on, the restaurant service personnel needs a bit of retraining, not all, as they are serving in front of your face.. and we kindly told him not to do it.. Since we come here regularly, we already knew some people. Staff are friendly and helpful. 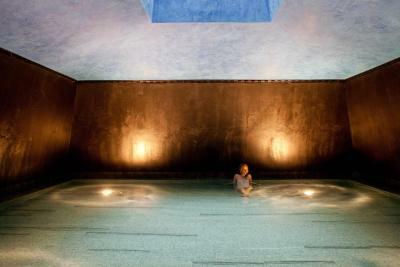 We like convenience of having a direct access to the mineral bath. 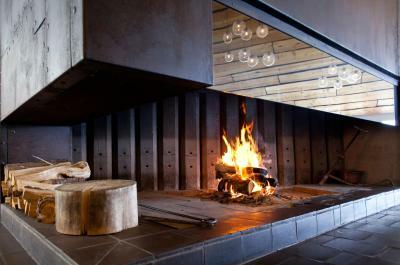 Absolutely perfect in every way, place, location, food, comfy bed, warm, amazing spa! The restaurant of the hotel is quite pricey. We weren't surprised by this because it's Switzerland! However, the price of the dishes doesn't mirror the quality of food we had for dinner. I don't mind paying a high price for an excellent meal, but the risotto, vegetables and steak we had were of mediocre quality. The cute cogwheel train brought us to this hotel. 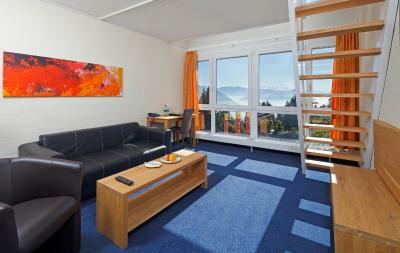 We had an amazing view of the Swiss Alps from our hotel room(4th floor). The hotel is clean with all the basics you need. 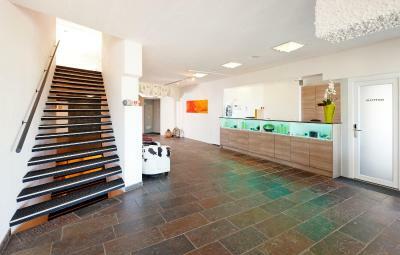 The hotel has a private entry way to the Rigi Kaltbad mineral baths & spa. When we booked the hotel, the spa access and breakfast were included. 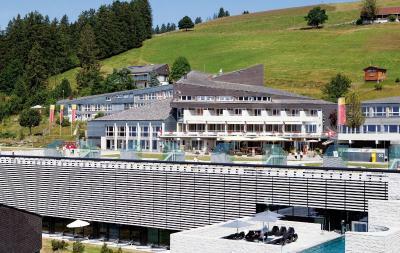 We felt very relaxed to be at this hotel and spa after our visit to RIgi Kulm. It's the second time my girlfriend and I visited this hotel and we will come back again soon. The staff is friendly, the room was comfortable with a great view, the indoor/outdoor pool is very relaxing and there are several options for hiking. Dinner was terrible: Overprized for poor quality food, served by incompetent waiter who asked the same thing over and over and then managed to deliver the wrong food and drinks, not once but several times. Reception upon arrival: a woman who was clearly not in the right job. Very badly dressed and not friendly at all. The lady checking us out was the total opposite: friendly and efficient, and well dressed. The view from the room is excellent.